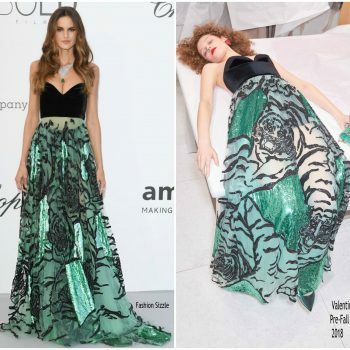 Izabel Goulart wore a custom Philosophy di Lorenzo Serafini dress to the "ROMA" premiere during the 2018 Venice Film Festival. Izabel Goulart attended the amfAR Gala Dinner at Hotel Eden – Roc, during the 71st Cannes Film Festival. She wore a Valentino Pre-Fall 2018 gown. 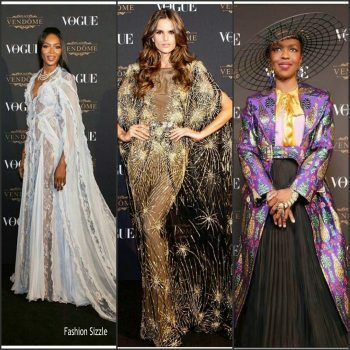 Izabel Goulart was in attendance at o the Solo A Star Wars Story premiere during the 2018 Cannes Film Festival. wore a Julien Macdonald Fall 2017 design. 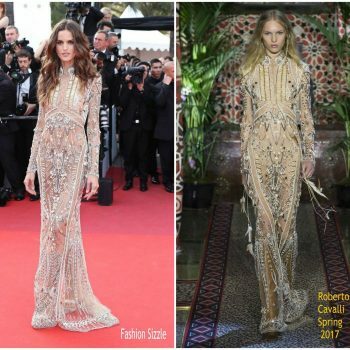 Izabel Goulart was in attendance at the “The Beguiled Cannes Film Festival Premiere this afternoon ( May 24) She wore a Roberto Cavalli Spring 2017 embroidered gown.